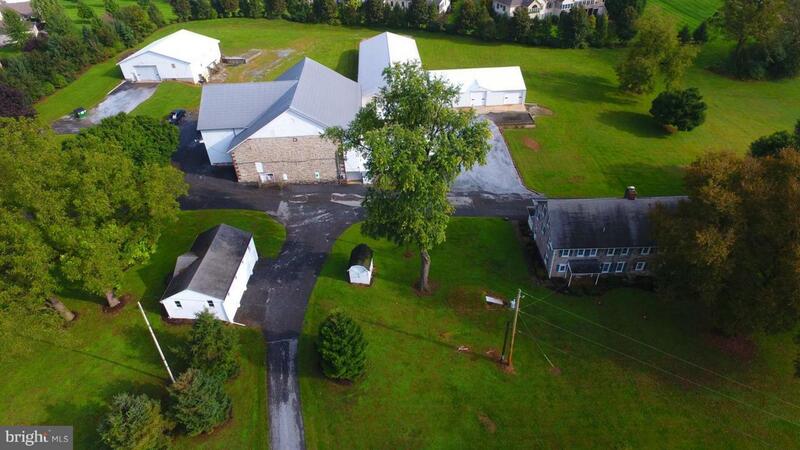 Farmette featuring two lots, two houses, five outbuildings and nearly 10 acres in Derry Township! Explore the charm of the 1850s farmhouse with all of it's updates and historical character. This home offers a possible second unit to be rented, enjoyed as in-law quarters or as extra space to sprawl out! Offering 9 bedrooms, 2 full and 2 half baths, an office with French doors and built-ins for convenience, and a living room with wood fireplace displaying beautiful stone masonry. All windows replaced in 2004! The updated kitchen features tile floors, beautiful island, granite counter tops, stainless steel appliances, electric cooking, crown molding and built ins. Wood floors run throughout most of house and under carpets. The house is hooked up to public water and sewer, but offers it~s own well which connects to the outside of the house. The updated second house has 5 bedrooms and 3 full baths, is on public water but has it's own septic and well which connects to the outside. Lovely property that has been well-maintained and in the same family for many decades! See associated documents for more information about full property and other residence. Listing courtesy of John Smith Real Estate Group.